This is an image looking at College Street in Burlington. The Roxy Theater and other buildings line the left side of the image, while cars are parked all along the increasing hill. 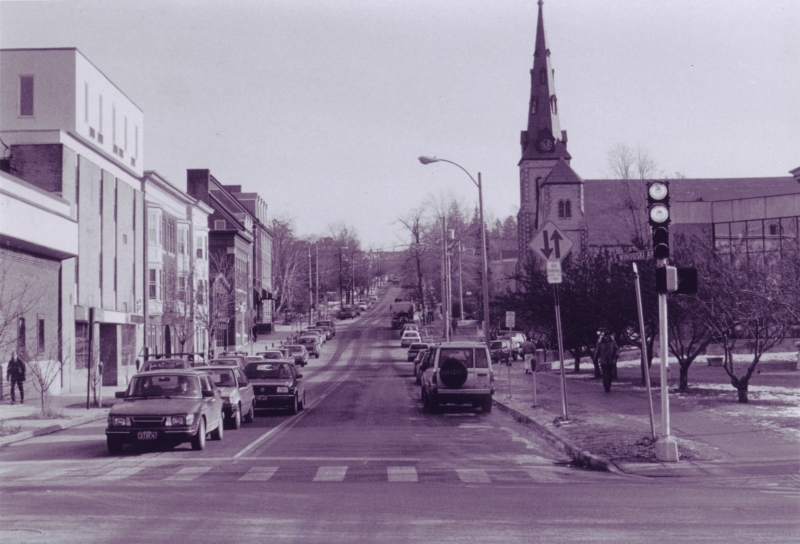 The center of the image focuses upon College Street itself, which a city bus travels down. Parked cars line the right side of the street as well, while part of the city library and a church can be seen on the right side of the image. In the foreground both walkers and bikers are working to cross the busy street. This image is very similar to the photo taken in 1980. 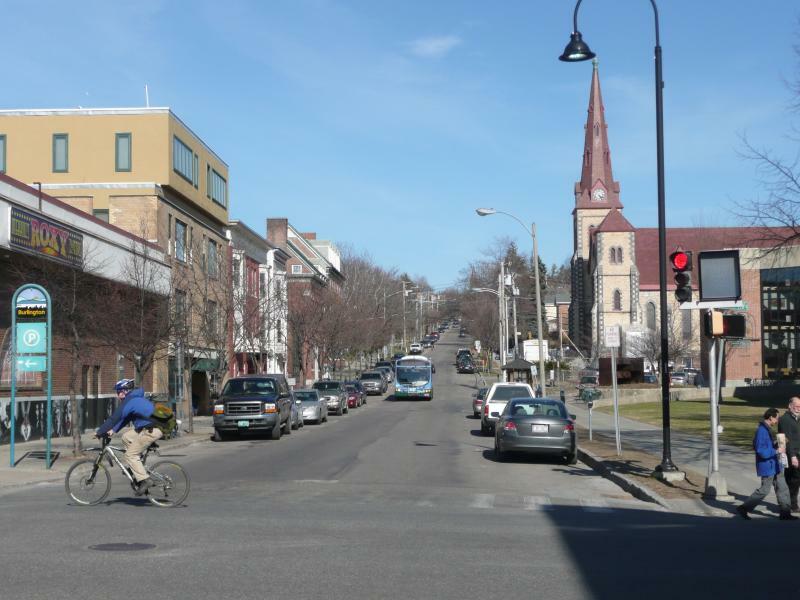 The buildings on either side of College Street are the same in both pictures, as well as the position of the parked cars and stoplight. In the 2009 image there is a Burlington city parking garage sign in the left side of the image, which is absent from the earlier photo. Also, there are more cars being driven in the earlier photograph. 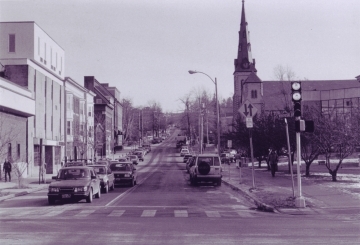 From a series of six photographs showing the effects of Dutch elm disease on Burlington's elm population, this 1980s photograph gives a view of College St. looking east from S. Winooski Ave. One can see young trees and parking meters on both sides of the street where tall elms once stood before being ravaged by Dutch elm disease. Noel Lapointe writes on 2013-08-05: 1985 or later based on the license plates with white bars above and below numbers.